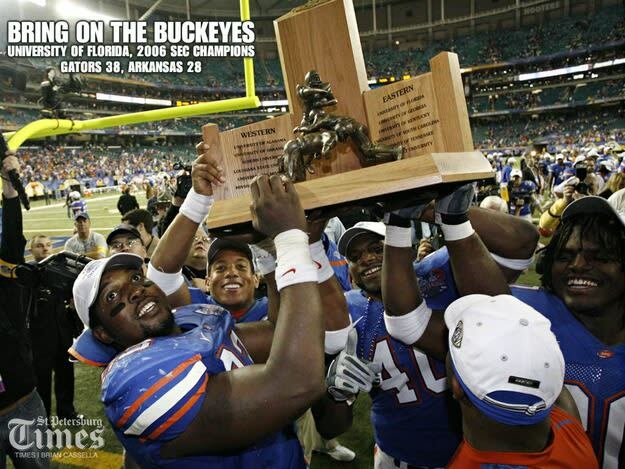 The '06 national championship was supposed to have been settled back in November, when no. 1 Ohio State squeaked by no. 2 Michigan in yet another classic in that rivalry's legendary history. Problem is, somebody forgot to tell the Florida Gators. Substantial underdogs to the Buckeyes going into the national championship game, UF dominated OSU behind a stifling defense, player of the game Chris Leak, and a freshman flex back named Tim Tebow, asserting the SEC's dominance over the Big Ten and proving that, if nothing else, much-maligned former Florida coach Ron Zook sure could recruit (22 of the 24 starters for the Gators were Zook recruits).